Macgo Mac Blu-ray Player Pro version is an all-purposed entertainment choice for full Blu-ray Menu, Blu-ray Disc, ISO files, and BDMV folder. The NEW Pro version also enhances the most immersive media experience and original audio quality, added more media formats support, improved player performance with an attractive, uncluttered and intuitive interface that can be managed with ease by any user. With this utility,users have the ablility to play Blu-ray discs and ISO files. It can be fully compatible with Mac OS X, including the latest Mac OS X 10.12 Sierra. Macgo Mac Blu-ray Player Pro version greatly enhances the operability on Blu-ray menu where you can choose scenes and set up subtitles and audio tracks, even watch bonus features. 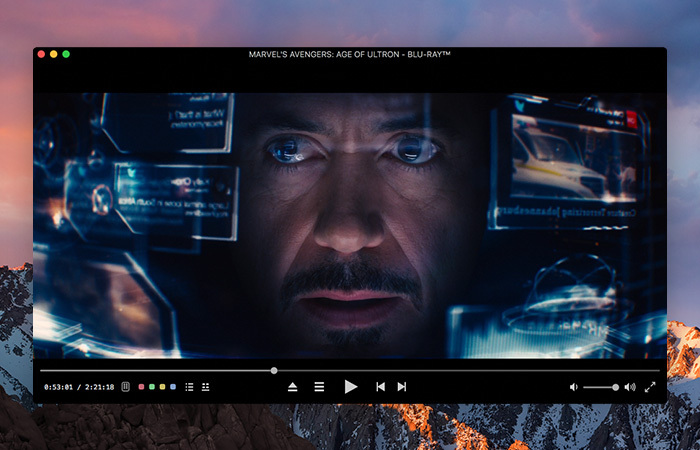 Also you can do this during the movie playback by using the Pop-up menu. With the fresh user oriented operation control, users can customize and operate the software by remote control. Pro version will bring you high-definition of clear and natural visual experiences without stutter or lags. Viewers can see every detail of picture with bright colors, sharp subtitles and original audio output. What is new in version 3.0.3? 1.Fixed a stability issue with hardware acceleration of MPEG-4 AVC. 2.Fixed an issue that may cause playback not to start from disc menu. � by Shareware-Freeware-Demo.com | Imprint Shareware-Freeware-Demo.com on your Website!